This timeless flooring was once reserved for stately homes and castles, but can now be enjoyed by everyone. 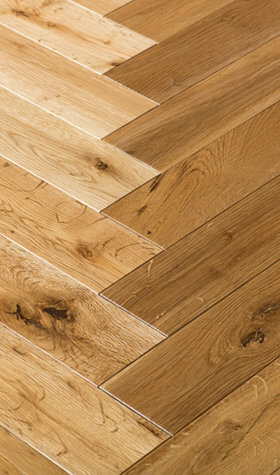 Also known as parquet, herringbone flooring has made somewhat of a renaissance of late, and has fast become of the best selling solid hardwood flooring here at Sale Flooring Direct. Beautifully sophisticated, herringbone flooring can enhance your living spaces and bring an air of grandiose to your overall interior. We love it, our customers love it and we are sure you will love it too! Not only is it effortlessly attractive, it’s also highly practical and durable. We have a range of herringbone flooring that is guaranteed to enliven your living spaces, no matter where you decide to lay it. And with our useful room suitability option, you can conveniently narrow down your search to find the ideal herringbone flooring for your kitchen, living room, dining room or bedroom. Once regarded as an expense, herringbone flooring can now be enjoyed by all. Especially when purchased at Sale Flooring Direct, where our customers enjoy premium quality genuine oak flooring at affordable prices. And this mix of high quality and low cost extends to all our products. 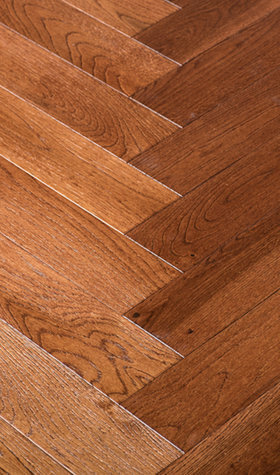 Browse and buy from our selection of cheap herringbone flooring and find high quality hardwood flooring at affordable prices.